Detail of Castle Peeps sampler: there are quite a few different stitches here! Just this afternoon I posted a question on my Facebook page (and through that on Twitter) about what people think the 5 most important stitches to learn are for a newbie embroiderer. I was surprised by some of the comments and clearly there is a difference of opinion on what should be in the top 5 of essential stitches. So I thought it would be fun to do a poll, it's in the left side bar. Also if you choose 'other', please leave a comment on this post on what stitch(es) you think is essential but not in the list. You can choose several answers. 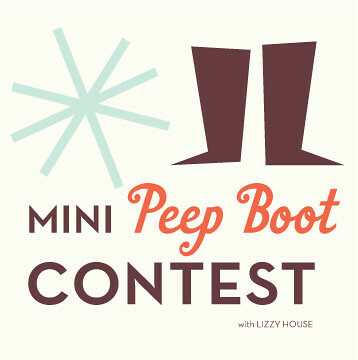 I would also like to use this opportunity to write something about the fun Mini Peep Boot Contest that Lizzy House started today. You can find a template of a Peep Mini Boot on Lizzy's blog, make your own version of a Peep Mini Boot, join the Mini Peep Boot Contest Flickr Group and win awesome prizes. 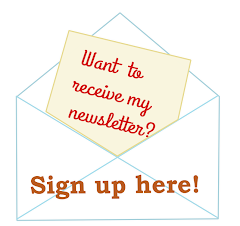 Contest is open until the 20th so hurry! I'm certainly making one, or maybe even a pair of Peep Mini Boots! I didn't choose "other," but I do like the colonial knot better than the French knot. Thats ok! :) I haven't actual tried the colonial knot yet (well not that I can recall) I shall put it on my Embroidery Challenge Stitch list!